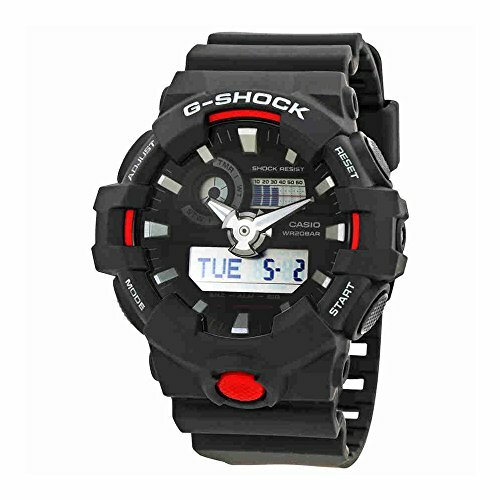 The all-new G-Shock GA-700 Series will make its debut in November with the black and red GA-700-1AJF (above, with positive LCD display), black GA-700-1BJF, and red GA-700-1AJF. This large case analog-digital model features a deep 3D index and a front-facing Super Illuminator LED backlight button in a similar style to the Rangeman and Mudmaster. The GA-700 will be a the main option for an affordable analog-digital model with a front backlight button.